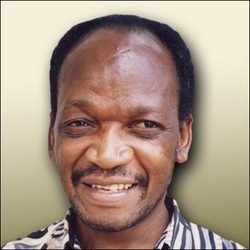 Godfrey Sipho Ndaba was born in 1947 in Soweto, Johannesburg and has lived in Soweto all his life. He was one of eleven children. His fascination with art came from an early age as every time it rained he would draw faces in the wet soil. Painting became an obsession as Godfrey made portraits of all his family and friends - the artistic flair expanding into sculpture as he formed images of cattle and people from clay dug out of the river. He attended a primary school in Soweto, but went to the Jubilee Art Centre twice a week after school hours, studying under artists such as Cecil Skotness and Sidney Khumalo. 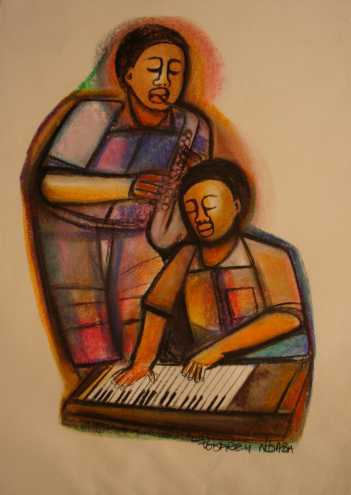 After completing a teachers course he went on to study at the Ndaleni Art School in Kwazulu-Natal. His first major success was for a sculpture entered in a competition at Fort Hare University - the winning exhibit is now kept in the University Museum. 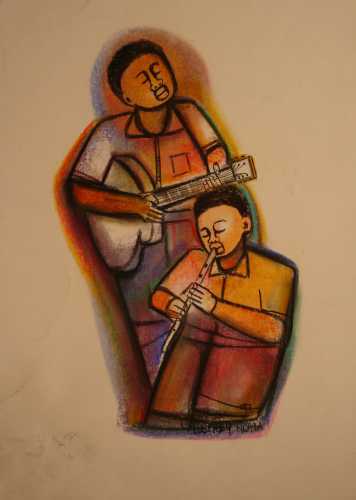 Regarded as one of the best Soweto and South African artists, Godfrey passes his skills and techniques on to those he teaches. He has a studio in Johannesburg, where he runs art classes for young Africans who are interested in learning about art. Godfrey encourages his students to approach art as ?observing life and the environment' around them, capture what they see as they see it, and to use their art as an outlet for their emotions and frustrations. He teaches both sculpture and painting, and discourages them from selling their work until they are competent and comfortable with what they produce. He helps them develop their own style, retain their individuality through their work and when he finds a committed student he will assist in finding the necessary funding for them to pursue their career, one of his past students is currently teaching art in Germany, having exhibited extensively throughout Europe and USA. Although his success has flourished, Godfrey remains keen to show his work in the township where he grew up and began presenting garden art exhibitions, which proved a refreshing experience for those not used to the world of art. 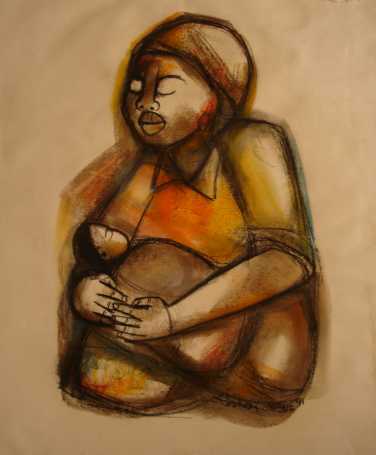 Godfrey Ndaba's work has been shown in Germany, Israel, Greece, United States and South Africa. His first solo exhibition being in 1972, which was a sell out. 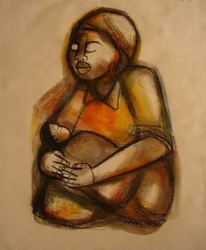 Today Godfrey Sipho Ndaba' s work features in many collections, including the private collection of Thabo Mbeki, the current president of South Africa. Represented: University of Fort Hare, Government buildings in Pretoria, National Treasury, Corporations around SA.